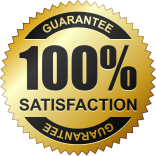 It’s not accidental that our company provides fast Dryer Repair in Vancouver. As one of the major appliance service companies in the city, our Appliance Repairs in Vancouver has the obligation to keep customers safe. Dryers might be some of the most useful appliances for all residences and are certainly extremely significant for commercial use as well. Though, they must be serviced often. Do you know how many fires start in British Columbia from poorly maintained dryers? So, it’s hardly surprising that our company always recommends frequent dryer service to clients and rushes to help everyone with dryer problems. 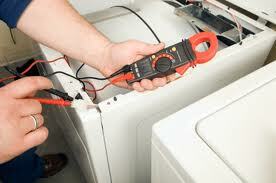 We are committed professionals and certainly experienced with all dryer repair services. Whether there is need for dryer parts replacement, routine inspections or maintenance, we guarantee outstanding work and quick response. The time of our response is much faster when there are already problems related to these appliances. Our Vancouver Dryer Repair team makes an effort to cover such needs on a same day basis and we can also assure you that our services are meticulous. The good thing is that our technicians are knowledgeable of all types of dryers and so they know how to inspect, troubleshoot and fix them properly. You can trust us whether you own a simple dryer or front load washer and dryer. Thanks to the specialized expertise of our team our services embrace all dryer needs. We repair your top load dryer as fast as we can, but we can also maintain it and replace ruined parts. Our goal is to ensure perfect dryer operation and guarantee to our clients that they can use their appliance without concerning about safety hazards. 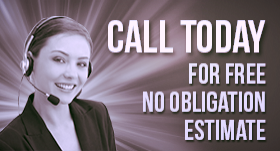 With our services, your safety is guaranteed. We also offer dryer installation and follow all regulations so that we can ensure once more safety for the client. Our technicians are very experienced with all dryers and offer thorough and fast services.